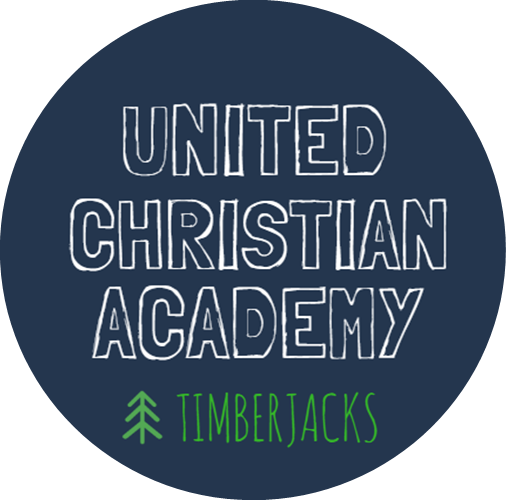 United Christian Academy seeks to be a school where Jesus Christ is preeminent and God through the Holy Spirit is acknowledged as the One who created all things, sustains all things, and works all things for His glory and our good. We honor the name of Christ by achieving excellence at all levels and developing the skills of our students to their fullest potential – socially, academically, physically, emotionally and spiritually – 7.5 hours a day, 5 days a week. These skills are developed deeply and broadly through Biblically-rooted instruction in academics. UCA instills in our students an attitude of servant leadership so that they are equipped to engage and transform the culture for Christ wherever God calls them. Over the last two years, we have served 14 students (in 4th-10th grade) with a full-time Christian education and support center, 8:00am-3:00pm, Monday – Friday. In Fall 2018, we will expand to 20 students and add third grade to our model. A hybrid between the offerings of traditional school and homeschooling, UCA provides a challenging academic program, individualized literacy and math interventions to help close gaps, Christian discipleship and nurturing, life skills development, physical education, social enrichment, two meals each day, and transportation to/from school for many students. The results have been incredible to witness (visit our Impact page to read about results). In the 2018-2019 academic year, we plan to serve more students with this same model. Our hope is to enroll 20 students in grades 3-8 for this upcoming year. Location: 3901 Lincoln Road, Hattiesburg, MS 39402 — Woodland Presbyterian Church has generously given us the use of the old Presbyterian Christian School (PCS) building on their campus. Mascot: Timberjacks — Named after our founder, Jack Kennedy, and the former minor league baseball team “The Timberjacks” in the City of Hattiesburg in the early 1900’s. We brought the “Jacks” back to the Burg and now it’s a team for all kids. School Type: United Christian Academy operates under the “homeschool” umbrella in the State of Mississippi. Our parents have signed their student out of the public school system and entrusted UCA with providing an academic and life skills program for their child. The curriculum and educational resources we choose to use, ongoing literacy and math skills progress tracking, annual standardized testing, report cards, and transcripts ensure we have a quality program that allows our students to be academically successful for years to come. Students who leave UCA as an 8th grader will be prepared to succeed in high school and beyond!